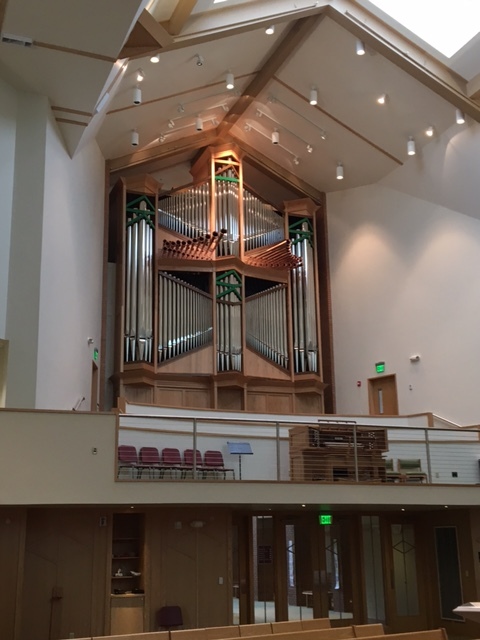 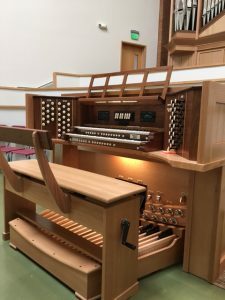 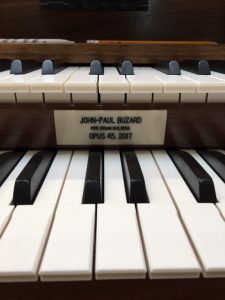 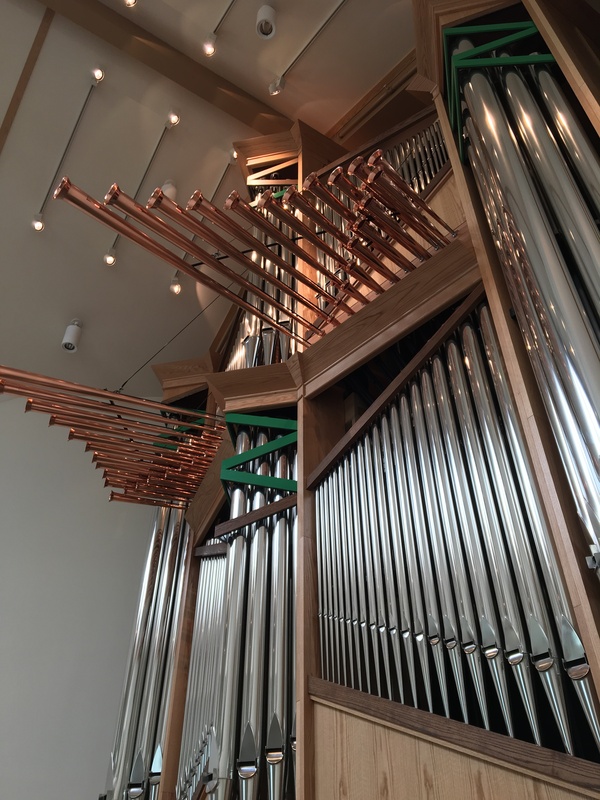 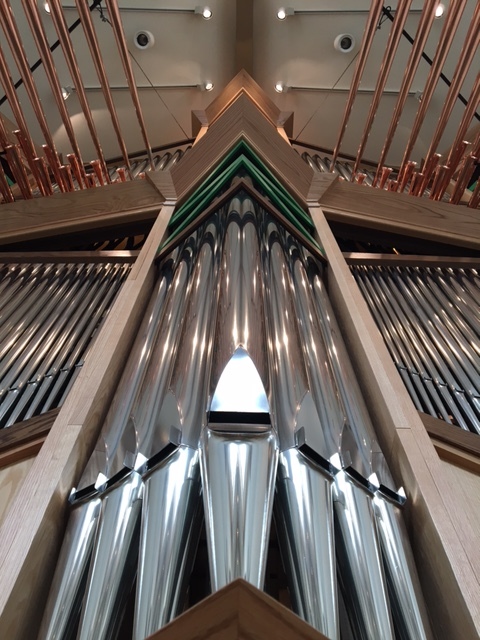 Pilgrim Lutheran Church selected Buzard Pipe Organ Builders more than ten years ago to build the organ, which was contingent upon them erecting a new Church building following sale of their former properties. 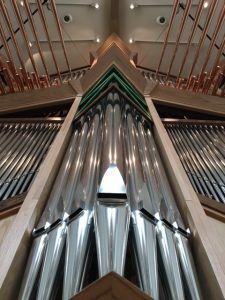 Their Organ Committee was most impressed with our organs’ warm singing quality and tonal blend and balance, and that all of them visually marry themselves to their settings. 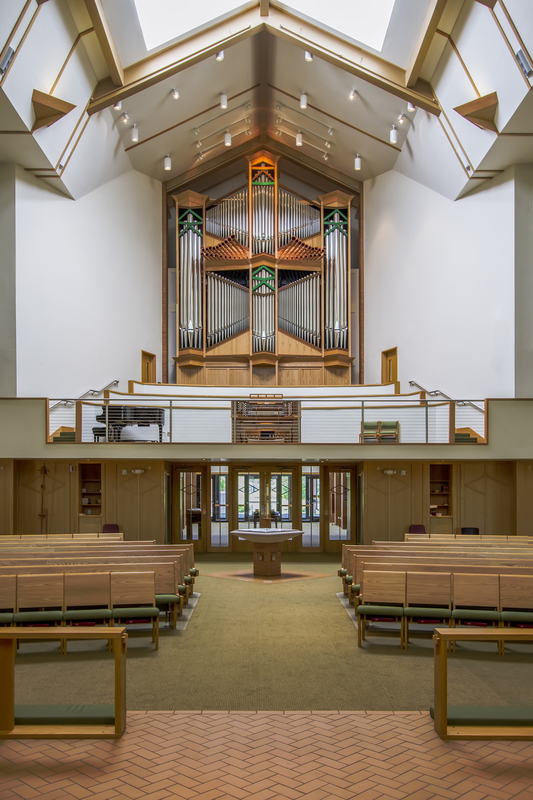 We had the delightful and rare opportunity to work directly with architect John Munson on the design of the building. 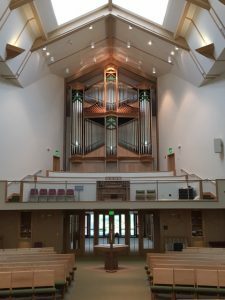 He provided ample space for the instrument and a sumptuous cubic volume of space to fill with tone, which provides for a livelier acoustic given the modest seating capacity. 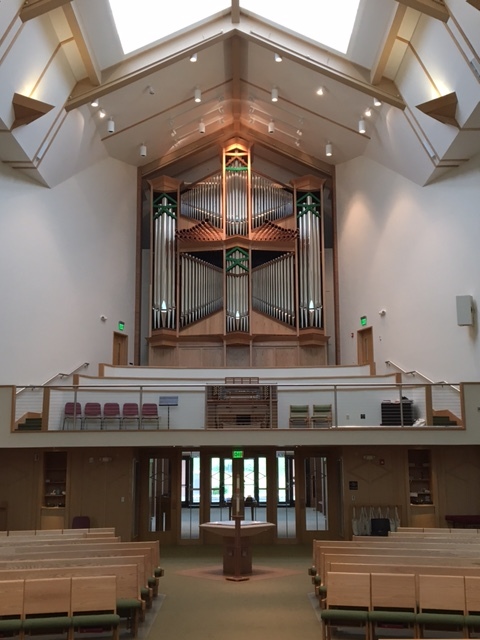 The Church’s music program is directed by Cantor Sarah Gran Williams, the Church’s Project Manager is Darrell Pike. 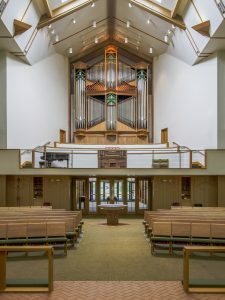 The Senior Pastor is The Rev. Alan Goertemiller. 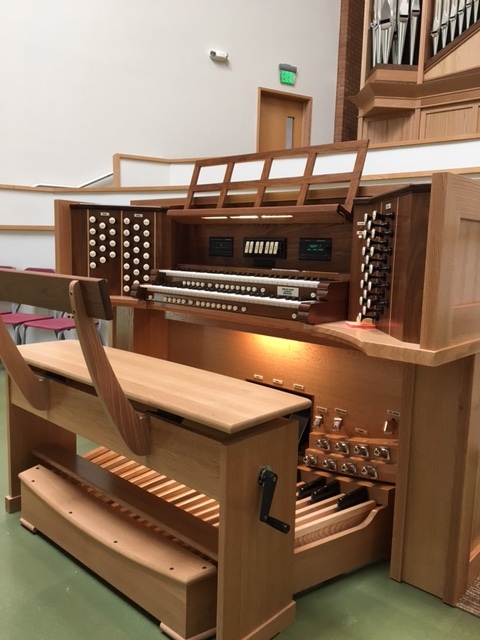 The organ has been completed and was first heard on Easter Day 2017, tonal finishing was completed in the first week of May, 2017.